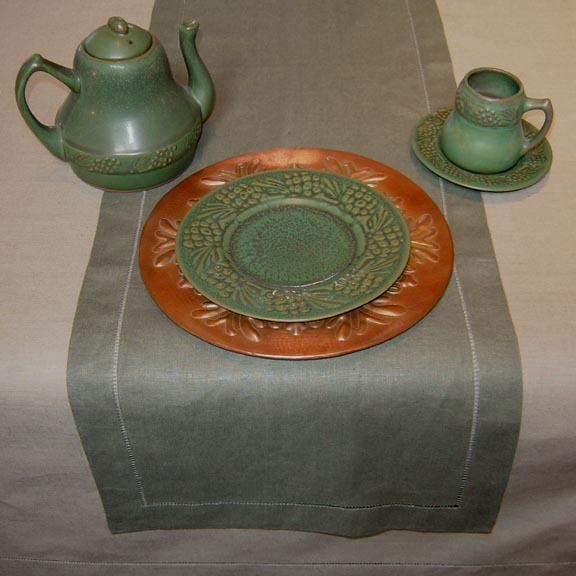 Arts and Crafts Movement colored linens-napkins, runners and tableclothes in sage and terracotta. FABULOUS ARTS AND CRAFT PERIOD AND FOREST COLORS ! NOTICE - SHADES OF THE COLORS AND INTENSITY OF THE COLORS MAY VARY FROM COMPUTER MONITOR TO MONITOR. 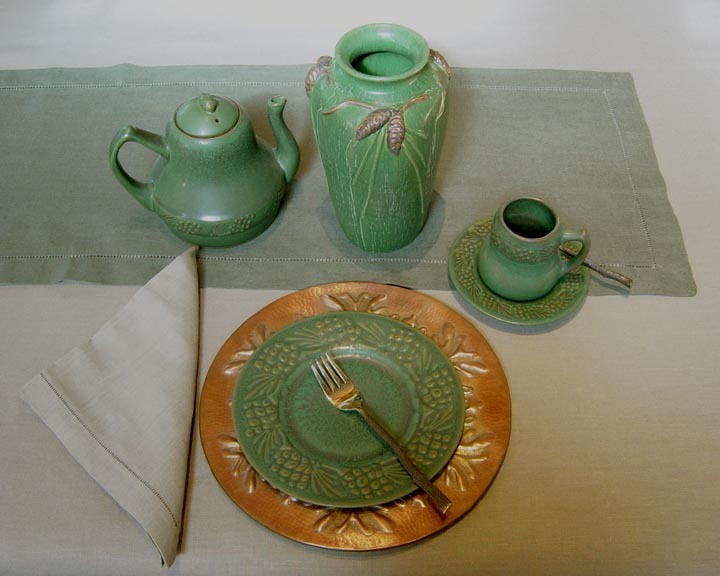 THE SAGE AND TERRACOTTA ARE VERY DEEP, RICH, EARTHTONE COLORS. 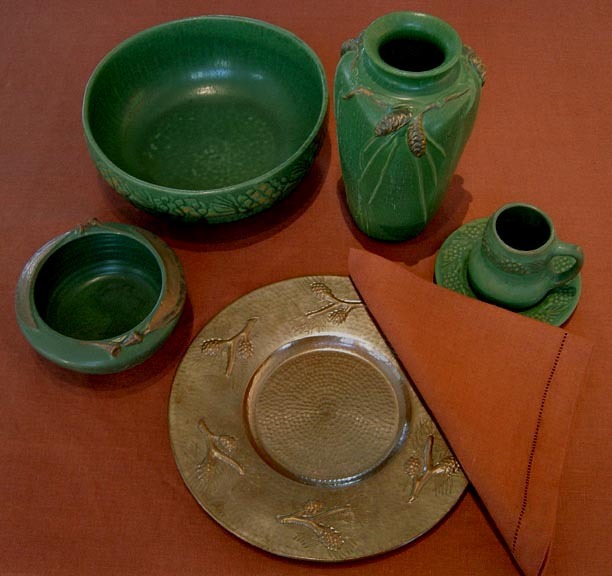 THE TERRACOTTA IS DARKER AND RICHER THAN THE COMMON CLAY FLOWER POT. PRICE SET OF 4: SALE ! WITH COLD WATER AND A GENTLE NON-BLEACHING LAUNDRY SOAP. VIGOROUS WASHING COULD CAUSE DAMAGE TO HEM WORK. IT WILL CAUSE DAMAGE TO THE HEM WORK AND IT WILL MAKE IT DIFFICULT TO IRON. 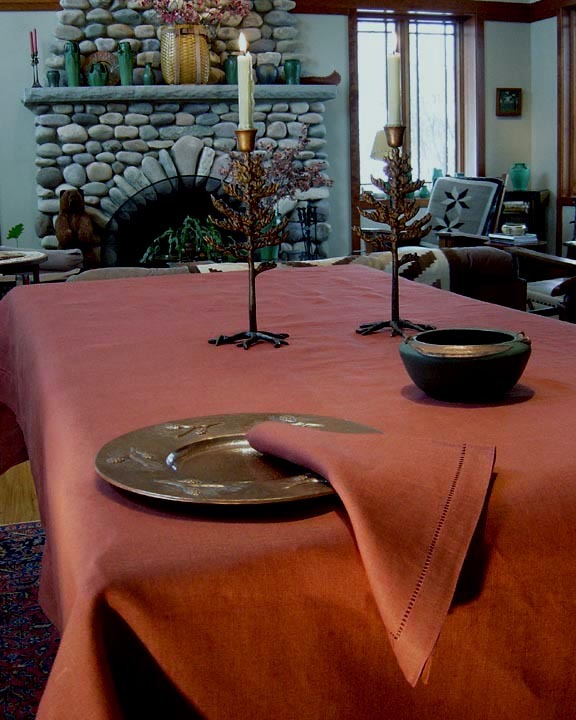 THE LINEN TABLECLOTHS AND NAPKINS ARE BEAUTIFULLY CRAFTED FROM 100% LINEN WOVEN IN LITHUANIA. Copyright © 2001 - 2016 RUSTIC SPIRIT, L.L.C.